A multi-blues bowling ball has dulled up in the elements and found a perch in the front bed atop a concrete pillar. It was found and for free; the pillar was $5 at a rummage sale several years ago. I don’t think any bowling balls should end up discarded. 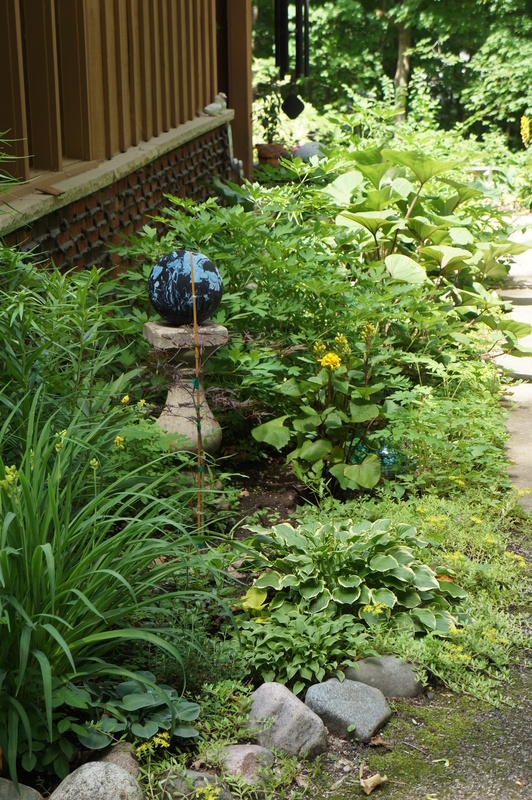 When they have served their original purpose to the end, they should get to retire in a beautiful garden. Even nestled on the ground next to a striking plant they are fabulous. I have a neighbor who has made a triangular stack of 4. It looks great! 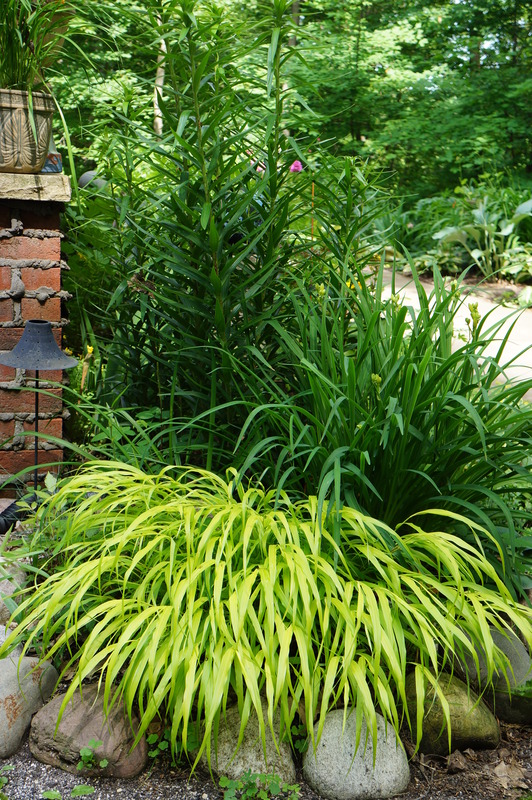 This bright grass below the stella d’oro daylilies and the tall native tiger lilies is so striking! 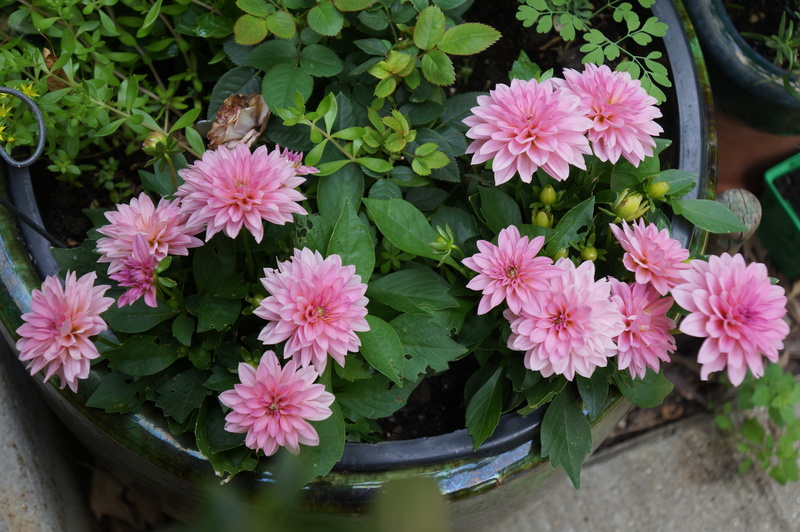 The dahlias are just fun. I’ll be regretting them in fall when I have to shelter them indoors, but such fun now. 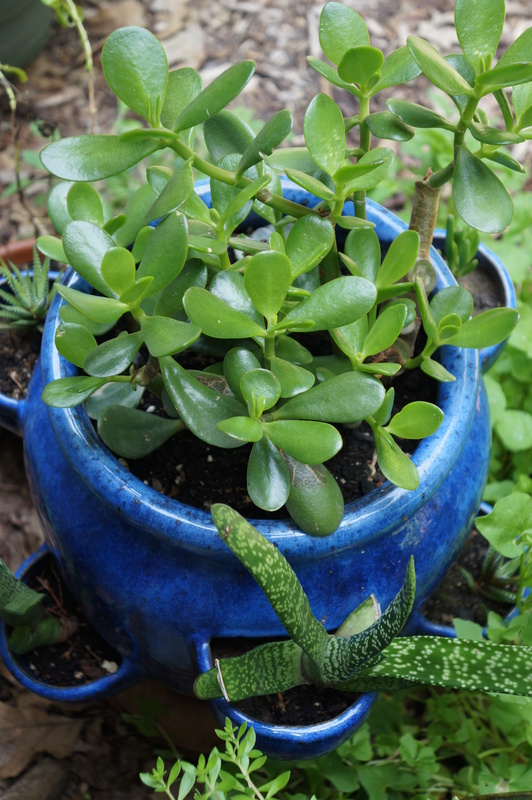 The succulent pot looks much better after last winter indoors when I realized the jade plant on the top had grown to proportions that covered up the rest of the pot! I ruthlessly hacked it down with a sharp knife, rooted all the pieces, and sold them at our plant sale. Now the smaller plant has grown all new leaves and is much more reasonably sized for this vessel. 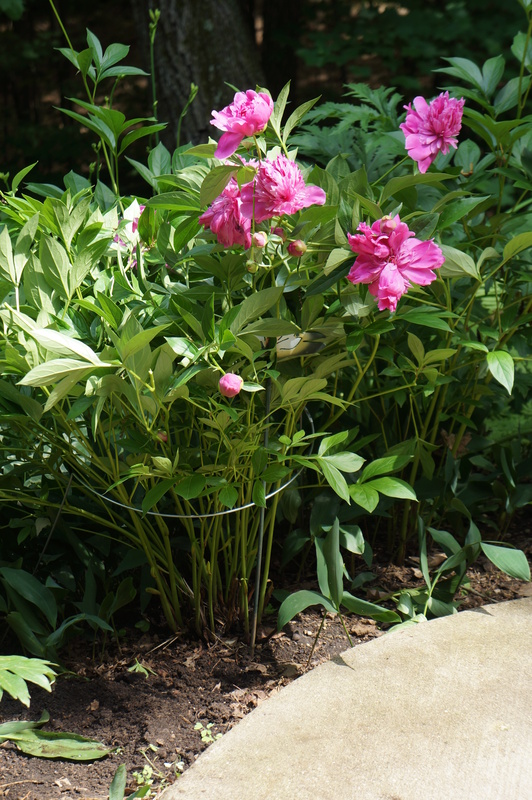 Lastly, I broke down and bought wire half-rings today that got my top-heavy peonies off the ground. With all the heavy rain we have been having the peonies just couldn’t take it anymore and they were all laying on the ground, ruined. This looks so much better! Summer has finally made it to Wisconsin, it seems. I’m enjoying every minute.